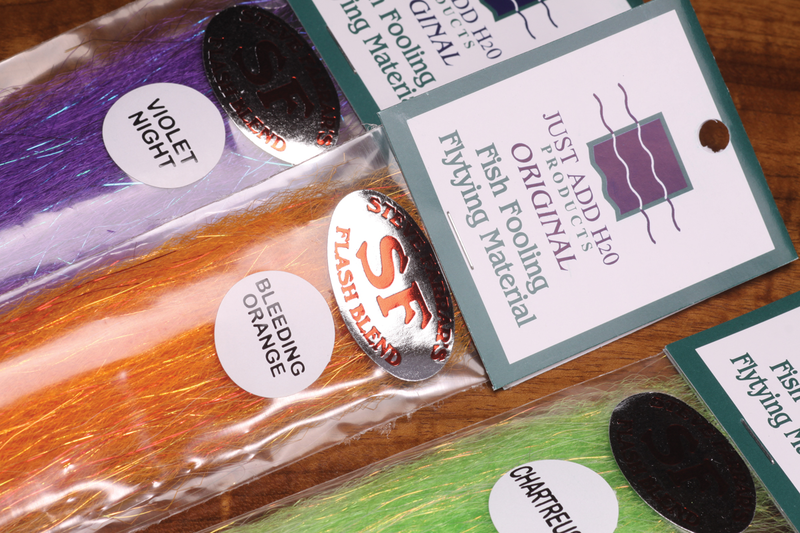 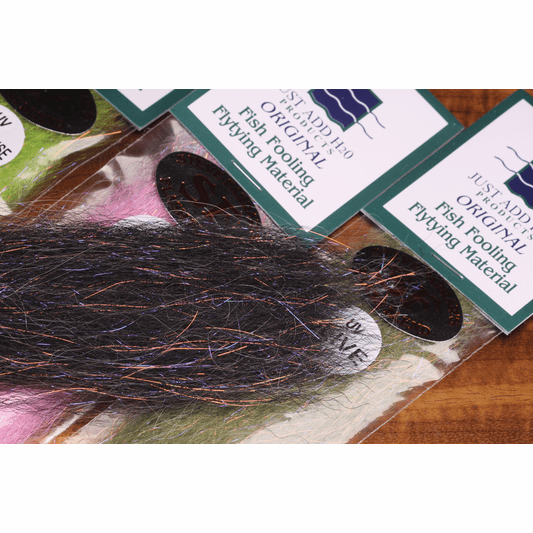 Often considered the best all around saltwater winging material available Steve Farrar's SF Blend is a mix of Slinky Fibre and Slinky Blend or Angel Hair. 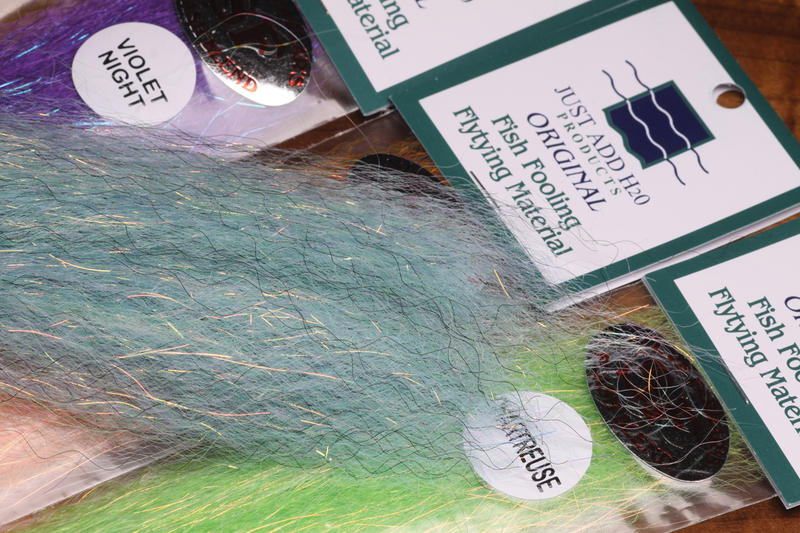 Bleeding colors are incorportate a flash of red, dark blue, and green depending upon the tone on tone match. 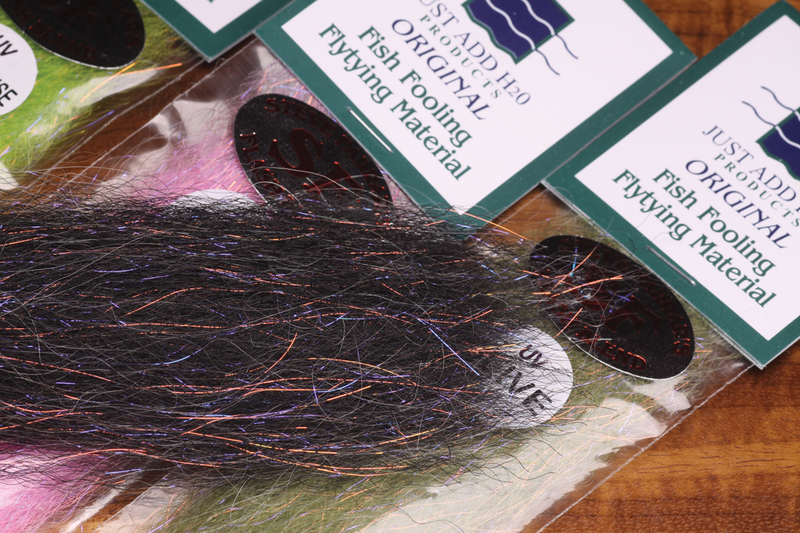 Steve Farrar SF Blend is about 10 inches long and naturally tapered for easy formation of minnow bodies. 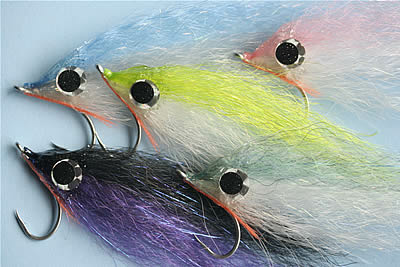 Add some cool looking eyes to the Farrar Blend and you have a deadly baitfish fly pattern.